Everybody knows that Chicago is the place to be for St. Paddy's Day. Particularly if you like getting exceptionally drunk in public and watching the Chicago River turned toxic green. But did you know it's also the place to get your run on (BEFORE you get exceptionally drunk in public and watch the Chicago River turn toxic green)? This year on St. Paddy's Weekend - I think at this point we can acknowledge that he gets more than just a day around these parts - there are three pretty big races fighting it out to be your pre-party run. And don't even think about trying to run all three - they all take place at pretty much the same time and in very different parts of the city. There's a Chicago stalwart, a feisty upstart and a mystery race that could make an impressive splash in the racing scene... or could be a total bust. But I'm just here to give you the info so you can make up your own mind. 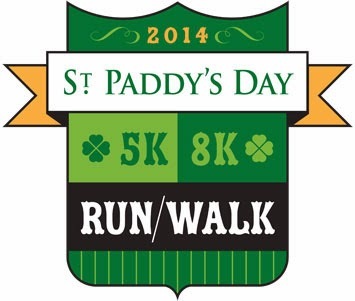 St. Paddy's Day 5K & 8K Run/Walk: This race is the old Chicago stalwart of the group. It benefits the Greater Chicago Food Depository and has been around since 2001 (in case you're bad with the maths, this is its 14th year). I ran this one in 2012 and thought it was pretty well-organized and drew some good costume-themed runners. There are typically over a thousand runners (counting both distances) so this is a fairly big race. It uses a pretty popular race location, starting in Lincoln Park in front of the Peggy Notebaert and following the Lakefront Trail. St. Paddy's Day Cash-in: Um, St. Paddy's Day. This one just straight-up represents. 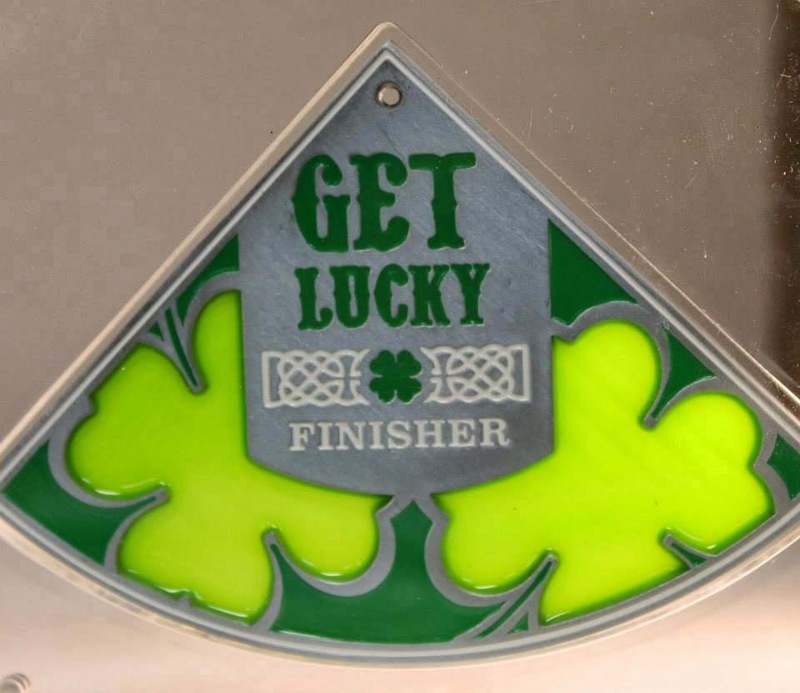 Get Lucky Half Marathon and 7K: This one has been around since 2012 and seems to be growing by leaps and bounds. While just over 1000 people ran in both distances in 2012 (when temperatures were in the 80s), over 3000 ran last year (when temperatures were standard Chicago freezing). So this could be a pretty big year for the Get Lucky considering that we're closer to standard Chicago March weather and this is the only "distance" race in the mix. Also, though it mostly takes place on the Lakefront Trail as well, it covers a less familiar portion of the trail, starting and finishing in Jackson Park. St. Paddy's Day Cash-in: Luck. There's a 7K - because 7s are LUCKY. 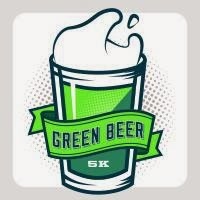 Green Beer 5K: This one's the wildcard. Since it's an inaugural run there's not much to go on aside from the advertising. And based on the advertising it seems like the most gimmicky of the three races (though, as noted, they're all clearly cashing in on old St. Pat). But this one seems to be going for the non-runner crowd looking for an interesting change of pace (accidental pun) to start off their St. Paddy's Day celebrating. If the green beer title isn't a giveaway of its target audience, the fact that it's untimed certainly is. But this one could be a surprising good time and may join the other two races as a St. Paddy's Day tradition. St. Paddy's Day Cash-in: Partying. You get green beer and there's an "Awesome Post Race Party" planned. 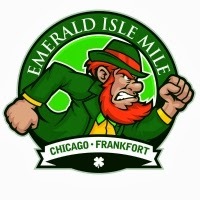 Emerald Isle Mile: This one may be the most legit of the bunch. It starts late (I wonder why...), goes short and kicks off the South Side Irish Parade. This is the one that requires the least commitment (time-, effort- and $$-wise). It's only been around since last year but seems to be popular - and how many 1-mile races are there in general? St. Paddy's Day Cash-in: Irishness. It kicks off the South Side Irish Parade. So, there you have it. There are plenty of other runs taking place in the suburbs, but if you're looking to stay within Chicago city limits and get a run in on St. Paddy's Weekend Chicago is more than happy to provide you with the opportunity. I wish there were more 1-mile races. However, I am definitely not in shape to run fast, even for 1 mile. Me either. Much less the day after St. Paddy's festivities.